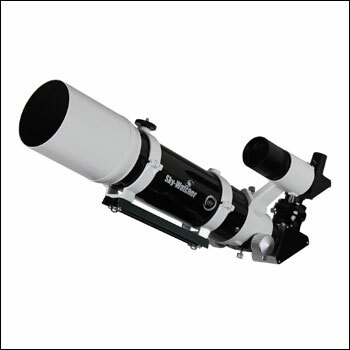 Sky-Watcher ProED 80mm Doublet APO Refractor Telescope comes with a dual-speed 2-inch Crayford-type focuser, which will eliminate all backlash effect that may appear during your observation. The Sky-Watcher ProED 80mm Doublet APO Refractor Telescope is one of those scopes that has it all. It was specially built from and from the desires and the needs of astrophotographers and astronomers. If you want to try your hand at astrophotography, then the Sky-Watcher ProED 80mm Doublet APO Refractor Telescope is the ideal optical tool for it. This powerful, yet affordable telescope delivers the kind of quality we would expect from a far more expensive telescope, for only a fraction of the price. No more false colors, no more image shifts, no more lack of contrast. If you are a passionate astrophotographer, it’s time to say goodbye to your old telescope and hello to this brand new one. What is the Sky-Watcher ProED 80mm Doublet APO Refractor Telescope? Designed specially to fit the needs of passionate astrophotographer, the Sky-Watcher ProED provides some of the finest images of the outer space. Crisp contrast-rich images of celestial bodies and space phenomena at only a fraction of the weight and of the price of other telescopes. This is one of the best investments for a good view, some extraordinary pictures and smooth, rock-solid focuser with zero image shift celestial photography experience. The best part of this great scope from Sky-Watcher is that it eliminates all chromatic aberrations that are usually present with the achromatic telescopes. Due to the extra-low dispersion (ED) grade-A glass doublet, you will have an amazing color correction that will make your photos more reliable, taking them closer and closer to the reality. All the glass used for the optical components of this piece is grade-A glass, purchased from the best manufacturers and, then, mounted to the highest standards currently available on the market. 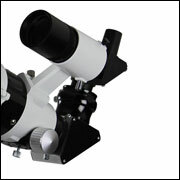 Another great part of the Sky-Watcher ProED 80mm Doublet APO Refractor Telescope is the focuser. The 2-inch Crayford-style assembly with a 1.25-inch adaptor comes with 2 speeds, one for fine, and the other for ultra-fine focusing adjustments, which will enable some of the best images of the celestial bodies. Still, the focuser feels a bit rough and may need some adjustments. In regards to the mount, all compatible mounts can be easily fastened and unfastened due to the quick release tube-rings provided. Depending on the type of exploration you are doing, you should choose the correct mount. For this scope, the EQ mounts are the best one, as they help obtaining some of the best and clean shots of the outer-space. Portability – the carrying case makes this scope so easy to grab and then transport to your favorite observation point. Being only 23-inch long and having an approx. weight of only 13 lbs, this scope can be easily taken to some great observation points. Affordability – for all the accessories and the quality of the images that one can get with it, this scope is rather cheap. This telescope comes at only a fraction of the price of other similar pieces that could offer similar images of different celestial bodies. Image quality – if you wield it right, the astrophotography images you’ll obtain with this scope will be quite impressive. You may have some problems with the focuser – it may feel a bit strange. When the Sky-Watcher ProED 80mm Doublet APO Refractor Telescope was originally purchased, the scope felt a bit rough and needed some adjustments, and then came around into a smooth performance. Even with this minor setback, for the price, it definitely does the job. Where to Find the Sky-Watcher ProED 80mm Doublet APO Refractor Telescope? Sky-Watcher ProED 80mm Doublet APO Refractor Telescope’s listing price on Amazon is somewhere around $700, FREE shipping included. You can also find it on the producer’s website at a reasonable price, but the shipment may not be included. 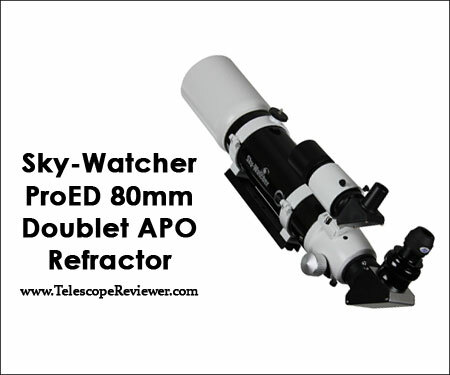 Buy the Sky-Watcher ProED 80mm Doublet APO Refractor Telescope only from authorized retailers, as they will be able to give you all the information you may need. Also, buying the scope from a specialized shop may also be a good idea, even if the scope in itself may be a bit more expensive that on an online shop. The people that work there usually know a lot about their pieces, so they can give you some really valuable info. Try to stay away from second-hand telescopes. This scope is quite inexpensive, so why risking the clarity of your images for a few dollars. 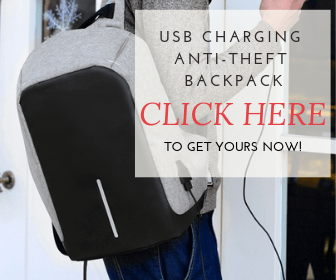 With the brand new one, you will have the warranty, as well as all the accessories that are not usually included when it comes to second-hand goods. Investing a bit more you will have a great piece that will last a lifetime, so take no risks when purchasing this scope. One of the best features when it comes to Sky-Watcher ProED 80mm Doublet APO Refractor Telescope is the maintenance work. You won’t need to do almost anything besides the normal cleaning work. Clean the telescope’s optics only when necessary and do not exaggerate, as excessive cleaning may ruin your piece. When the dust covers the optics, remove it with a specialized brush (made of camel’s hair) or with pressurized air. For the lens, clean them with some specialized cleaning solution and a very soft piece of lint-free cloth. 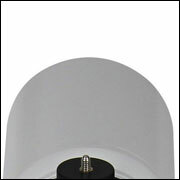 All debris must be removed from the center to the outer region of the lens, without rubbing in circles. Sky-Watcher ProED 80mm Doublet APO Refractor Telescope comes with some great accessories that make it even better for your photographical exploration. The telescope comes with a dual-speed 2-inch Crayford-type focuser, which will eliminate all backlash effect that may appear during your observation. 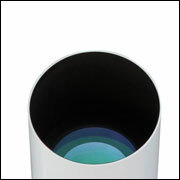 The finderscope is also included in the pack. It is not exceptional, and you may want to change it after a while, but it will help you align your telescope. We were surprised to see that the scope comes with two eyepieces, one of 20mm (30x), and the other one of 5mm (120x). The eyepieces are great, but not remarkable, so you may want to purchase your own ones. An exceptional telescope, designed for astrophotography, the Sky-Watcher ProED also comes with a tube-ring attachment hardware, which will help you stargazing from the very first day when the scope gets to your house. The least, but not the last, this scope comes with a foam-lined aluminum carry and storage case, which will encourage you to take your scope more and more outside. The Sky-Watcher ProED 80mm Doublet APO Refractor Telescope can be mounted in a few minutes, and it’s perfect for outside exploration; the case just gives a bit of extra protection, which in the case of a scope, is de rigueur. The Sky-Watcher ProED 80mm Doublet APO Refractor Telescope has a two-year limited warranty starting from the date of purchase. The conditions, as well as the length of the warranty, depend on the place from where you purchase the scope from. You should check this small detail, before purchasing the scope. Overall, this scope is a great asset for an astrophotographer and for an amateur to intermediate astronomer aswell. It is not an expensive Takahashi piece, or issued from an official Astro-Physics supplier, but somehow it does the trick well. This is a cheap, yet relatively good telescope that will take your astronomical observation, as well as your photos of the outer-space to the next level.